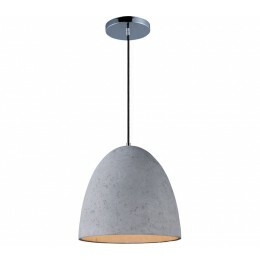 Pendants molded in natural Gray concrete cement provide a unique urban and contemporary design element. Metal Polished Chrome hardware contrasts beautifully with the black fabric covered wire. Powerful and efficient illumination is provided by included 3000K GU10 LED bulbs. 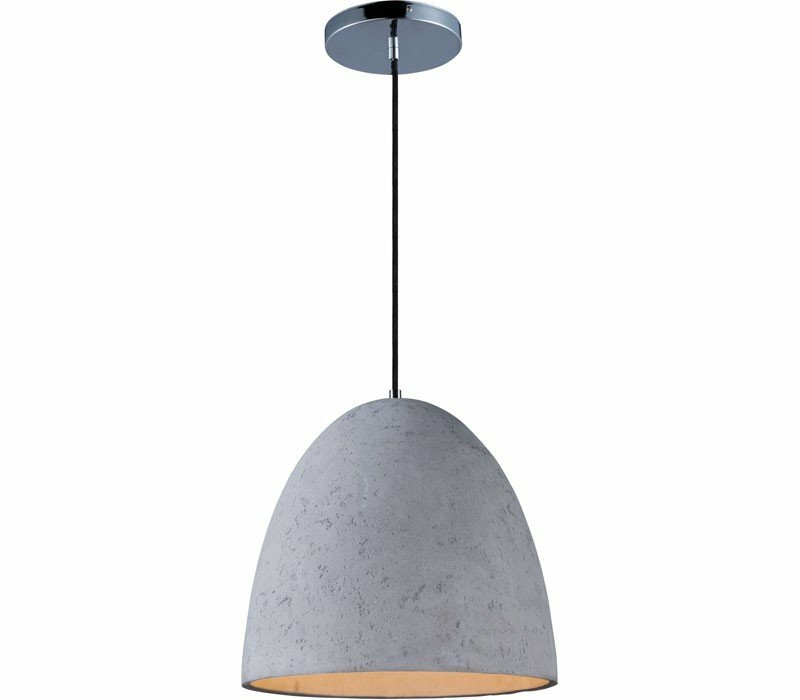 The Maxim 12396GYPC Crete collection Pendant Lighting in Polished Chrome uses LED light output and brings Modern style. The total wattage is 16 and the voltage is 120 volts. The Maxim Lighting 12396GYPC requires 1 bulb (included). Additional Information: Shade-Black Fabric Covered Wire.